A Turtle Sanctuary along with a River Biodiversity Park at Sangam, Allahabad has recently been approved under the Namami Gange Programme of the Government of India. The objective behind setting up this Turtle Sanctuary is to protect the rich aquatic biodiversity of River Ganga from escalating anthropogenic pressures. The estimated cost of the Project is Rs 1.34 crore and it includes the development of River Biodiversity Park at the confluence (sangam) of River Ganga, Yamuna and the mythical Saraswati, establishment of a Turtle Rearing Centre (permanent nursery at Triveni Pushp and makeshift annual hatcheries) and to raise awareness about the importance of River Ganga and the need and importance of conservation of the riverine ecosystem. The sustenance of more than 2,000 aquatic species, including threatened Gharials, Dolphins and Turtles in River Ganga exemplifies the rich biodiversity of this holy river. River Ganga is also the lifeline for over 40% of the India’s population. 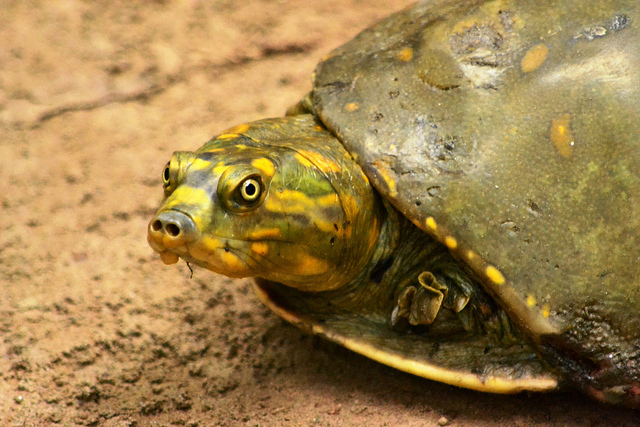 Rivers Ganga and Yamuna at Allahabad are home to some of the most endangered fauna like turtles (Batagur kachuga, Batagur dhongoka, Nilssonia gangetica, Chitra indica, Hardella thurjii etc. ), the National Aquatic Animal – the Gangetic Dolphin (Platanista gangetica), the Gharial (Gavialis gangeticus) and numerous migratory and resident birds. It is hoped that the project will provide the much needed platform to make the visitors aware of their place in the ecosystem, their roles and responsibilities, improve their understanding of the complexity of co-existence with the environment and help generate awareness for reducing the impact of human activities on critical natural resources. The task of dissipating knowledge about River Ganga will also be taken up. The project is funded 100% by the Central Government.